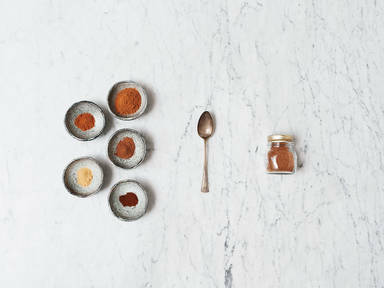 Add ground cinnamon, ground nutmeg, ground allspice, ground cloves, and ground ginger to a small jar. Stir or shake to combine. Use in pumpkin pie and more!